In the past I would lament, during a weak anime season, about the inability to blog about anime when the anime would only inspire lukewarm apathy. This spring season of anime has taught me another way to lament; when a season is as strong as this one and spreads this strength out over the week as well as this season has then it becomes near impossible to find the time to write anything because there is always good anime waiting to be watched – tempting one to put down the pen. And, when it’s a question of watching anime or writing about anime, the answer is pretty clear; so, we’ve reached the start of the next anime season and I now look to rectify some of my silence about the springseason before our collective amnesia sets in too much. For these awards slash review I wanted to alter my standard format a bit to simplify – condense – clarify – better articulate how these anime series stacked up against each other and better convince potential viewers of the worth of watching these series. But before we get there I need to set the field with all the series I watched this season. If I do not list a show then I have not seen it yet and it will not appear. Also, as great as the new Avatar series was, it falls outside the scope of these awards because it is not anime. The first section of awards focuses on the characters in the various anime series. It is possible to create an excellent anime series without creating minimally decent characters but it’s very difficult. On the flip side, an anime that creates a cast of compelling characters is assured of being at least watchable. The importance of characters is why I like to start my reflection were I do. Having an anime win or nearly win a character award is often a good measure of which anime series focused on it’s characters but not always. Both winners, Wishing Rock (Best Screen grabber) and Weaver and Rider (Best Supporting Characters), were the sole standouts in a cast of barely proficients in their respective shows and were largely the only reason to watch either anime. Not to take anything away from either. The Wishing Rock is also known as Troll Rock for it’s mischievous interpretations of the main character’s wishes. Weaver and Rider stuck out in Fate/Zero, much like a steroid-binging Barry Bonds would while playing on a little league baseball team. Other times there is an uneven treatment of characters as Jormungand displayed; Koko (Best Female Main Character) and Jonah (Runner-up Best Male Main Character) had plenty of space and screen time to become great characters but the rest of the cast were forgettable and just there to fill space. Both characters are emotionally scarred individuals that grasp whatever pieces of normal humanity they can hold onto while being the best gun dealers in the world. And sometimes the anime is as character-focused as the awards suggest. Space Brothers, Aquarion Evol, and Mysterious Girlfriend X all make multiple appearances because to this focus. 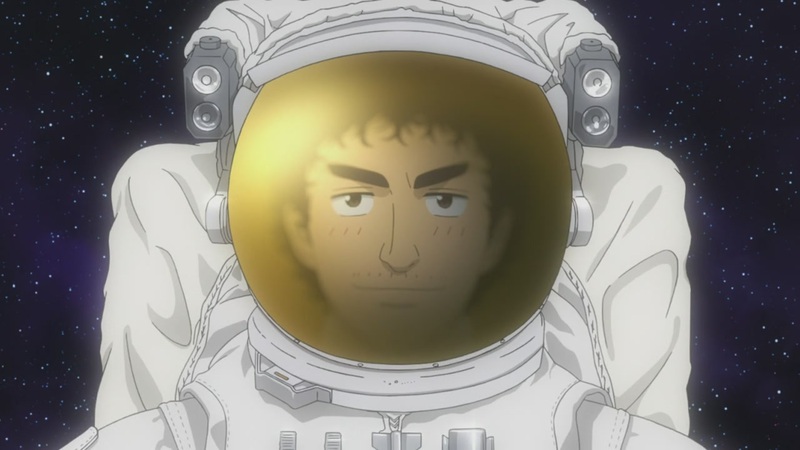 Mutta (Best Male Main Character) is a middle-aged man belatingly striving to attain his childhood dream and leads a varied, interesting cast in Space Brothers (Runner-up Best Cast of Characters). Aquarion Evol suffered a bit from a pair of bland main characters but made that up with a great villain – Mykage (Best Villain), and a romantic relationship full of twists by supporting characters Andy and Mix (Runner-up Best Couple) and a large ensemble cast covering two different planets to earn the award Best Cast of Characters. Mysterious Girlfriend X (Best Couple) features a male and female main character that be themselves are good but they only become great when they decide to become each other’s first relationship and they suddenly have a flood of emotions, desires, and actions to bumble through and master. How this well-used story is carried out is what earns Mysterious Girlfriend X (MGX) the Best Character Development Award. Initially, I’d planned on condensing the number of posts for the seasonal awards down but, in the end, I had to be contented with making each one shorter. P.S. iirc it’s Waver, not Weaver, but I could be wrong. @Mushyrulez: Thanks for the comment. I specifically mentioned excluding Avatar because it slightly bothers me (in the – there’s dumb people on the internet way – which means it’s not normally worth mentioning it but I sometimes feel the need to do so anyways) that some people can’t seem to grasp the basic definition of what anime is and what’s not anime. I do plan on writing a post about the new Avatar series, someday 🙂 . You half answered your own question about Marika, there wasn’t a ton of quality female main characters. If the series had been better then Fujiko from the Lupin series probably would have earned either the top or runner-up spot. You are apparently correct, I don’t know why I thought it was Weaver. Right. Strangely, I don’t think anybody’s written a post about Avatar and the whole anime/not-anime business yet… wink wink.